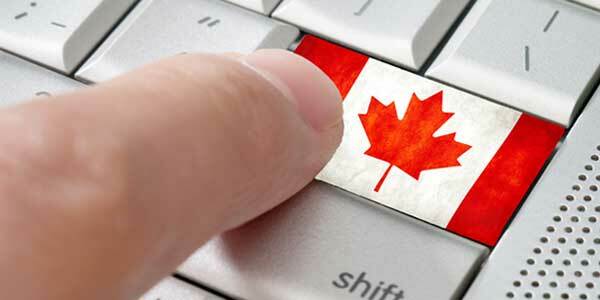 Applicants who meet all the necessary criteria will be added to the Express Entry pool of potential candidates. These candidates are then ranked according to the Express Entry Comprehensive Ranking System (CRS), a points-based system designed to identify prospective immigrants who are most likely to succeed economically once in Canada. Immigration, Refugees and Citizenship Canada (IRCC) regularly holds Express Entry draws or "round of invitations" where they select top ranking candidates from the Express Entry pool and issue them each an "Invitation to Apply" (ITA) for Canadian residency. If selected in an Express Entry draw, a candidate will need to submit his or her application for permanent residency in Canada within 90 days of receiving their invitation. Most Canadian permanent residency applications submitted through Express Entry will be processed in under six months, which is significantly faster than traditional paper-based Canada PR applications. Immigration, Refugees and Citizenship Canada (IRCC) issued 3,753 invitations to apply for permanent residency during this round, with a new record breaking Express Entry low score of only 431 points. The CRS score of the lowest-ranked candidate increased in this round compared to previous Express Entry draws. A total of 3,749 candidates were issued ITAs with the lowest score being 441. Another large round of invites went out to 3,884 Express Entry candidates. The minimum required CRS score continued to drop as well, and was 434 points for this draw. In this round of invitations, 3,611 candidates were given an ITA and the lowest ranked candidate had a score of 441 points. The minimum required Express Entry score continues to drop as 3,664 candidates were issued invitations in this draw with a minimum score of 447 CRS points. More invitations were issued this round than any other Express Entry draw ever. The third Express Entry round of invitations in 2017 once again broke the record as the largest ever. 3,508 Express Entry candidates were issued ITAs for Canadian residency with a low score of 453 points. The second 2017 Express Entry draw was the largest ever. 3,334 Express Entry candidates were issued invitations to apply for Canada PR through the system with the CRS score of the lowest-ranked candidate being 459 points. The first Canadian Express Entry draw of 2017 was the largest ever Express Entry draw with 2,902 candidates from the pool being issued an Invitation to Apply for permanent residency in Canada. The minimum score for this draw was 468 CRS points.